Victorious: Music from the Hit TV Show is the debut soundtrack for the Nickelodeon TV series Victorious . The majority of the album was sung by the lead actress of the television series, Victoria Justice, with the Victorious cast being listed beside her. Some of the other singers on the album include Ariana Grande, Elizabeth Gillies, Miranda Cosgrove, Matt Bennett, Daniella Monet and Avan Jogia. The majority of the album was written by Michael Corcoran, Dan Schneider, Savan Kotecha, Kool Kojak and CJ Abraham with Victoria Justice involved in the composition of "Best Friend's Brother" and Leon Thomas III on "Song 2 You". The album was released August 2, 2011 by Nick Records, in association with Sony Music Entertainment. All of the songs on this soundtrack appear on previously aired episodes of both seasons of Victorious. The soundtrack debuted on the Billboard 200 at number 5 with over 40,000 copies sold. It also peaked at number one on the Billboard Kid Albums chart and the Billboard Top Soundtracks chart. Nick Records is the record label for the children's television channel Nickelodeon. The label featured new and emerging young musical artists, "triple threat" singers who would also act and dance on the network's series, and soundtrack and compilations based on Nickelodeon TV shows. Kid Albums is a music chart published weekly by Billboard magazine which ranks the top selling children's music albums in the United States. The chart debuted on the issue dated September 9, 1995. It originally began as a 15-position chart, but has now been expanded to 25. Rankings are compiled by point-of-purchase sales obtained by Nielsen Soundscan data and from legal digital downloads from an all music digital retailers. The lead single album released was "Freak the Freak Out" on November 19, 2010. The song was the soundtrack's most successful single released, peaking on the Billboard Hot 100 at number 50. Other singles from the album include "Beggin' on Your Knees" (released April 1, 2011), "Best Friend's Brother" (released May 20, 2011) and "Leave It All to Shine" (released June 10, 2011). Auto-Tune is an audio processor created by, and registered trademark of, Antares Audio Technologies which uses a proprietary device to measure and alter pitch in vocal and instrumental music recording and performances. It was originally intended to disguise or correct off-key inaccuracies, allowing vocal tracks to be perfectly tuned despite originally being slightly off-pitch. The mix of some tracks on the album are slightly altered in comparison to the versions heard in the show. The vocals of "Tell Me That You Love Me" are heard with a piano in the show, but the song has more instruments on the soundtrack. "Finally Falling" in this album removes Avan Jogia's opening verse. The show version of "All I Want Is Everything" has more prominent vocals from the other cast members. Full versions of the former two can be streamed at the show's student website, TheSlap.com. The chorus of "Make It Shine"
The lead single released was "Freak the Freak Out" on November 19, 2010. The song was featured on the Victorious special, "Freak the Freak Out" and the soundtrack most successful single released, peaking on the Billboard Hot 100 at number 50. The single was accompanied by a two-minute music video that premiered on Nickelodeon in mid-November. "Beggin' on Your Knees" was released as second single and peaked at number 58 on the Billboard Hot 100. The song was accompanied by a music video directed by Marc Wagner which was released on March 12, 2011. "Best Friend's Brother" was the third single released from the soundtrack on May 20, 2011. The music video for the single was released on May 28, 2011. It debuted on the Billboard Hot 100 at number 93 and peaked at number 86. "All I Want Is Everything" was the fourth single released from the soundtrack on September 2, 2011. "You're the Reason" was the fifth and final single released from the album, released on December 3, 2011. 5. 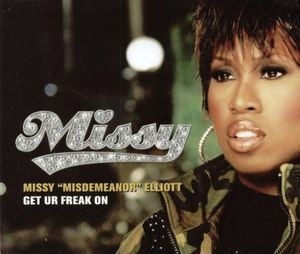 "All I Want Is Everything"
"Get Ur Freak On" is a song by American recording artist Missy "Misdemeanor" Elliott. It was written and produced by Elliott and Timbaland for her third studio album Miss E... So Addictive (2001). Based on heavy bhangra elements, a popular music and dance form from the Punjab state of India, the song features a six-note base that is a Punjabi melody played on a tumbi and rhythm and bassline played on tabla. 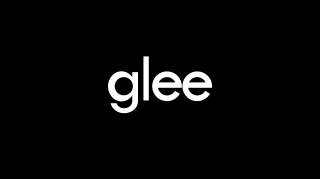 Glee: The Music, Volume 1 is the debut soundtrack album by the cast of the musical television series Glee, which aired on Fox in the United States. It features cover versions from the first nine episodes of the first season and was released on November 2, 2009 by Columbia Records and 20th Century Fox Television Records. The album received mixed reviews from critics, with many praising large ensemble numbers, but comparing it to karaoke tracks. It went to number one on album charts in Ireland and the United Kingdom, and peaked at number three in Australia and number four in both Canada and the United States. Volume 1 has been certified platinum in these five countries. Glee: The Music, Volume 2 is the second soundtrack album by the cast of the American musical television series Glee, featuring songs from episodes nine to thirteen of the show's first season. It was first released on December 4, 2009 in Australia by Columbia Records. It has been certified platinum in Canada and Australia, and gold in the United Kingdom and the United States. Volume 2 received mixed reviews from critics, who praised the vocals of cast members Lea Michele, Amber Riley, and Kevin McHale, but felt the album was weak in arrangements and similar to a collection of karaoke tracks. All tracks were released as singles and performed on the series, with the exception of "Don't Make Me Over"—only an instrumental version was used. The Glee cast has released sixteen soundtrack albums, six compilation albums and eleven extended plays (EPs), containing 754 different performances of an individual song or a mashup of two or more songs in a single performance. Of the performances on the various albums and EPs, 460 were also released as singles. Glee features on-screen performance-based musical numbers, most of which are cover versions of popular songs, with genres ranging from R&B and pop to country and show tunes. The cast consists of fifteen main characters; some actors were cast following Broadway theatre experience while others were required to audition to prove singing and dancing capabilities. Recordings of performances on the show are sold as singles the week of broadcast, available for digital download. 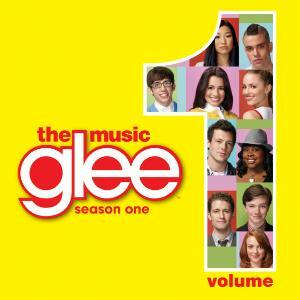 Glee: The Music, Volume 3 Showstoppers is a soundtrack album by the cast of the American television series Glee. The album contains songs from the second half of the show's first season, except for the episodes "The Power of Madonna" and "Journey to Regionals", songs from which feature on the extended plays Glee: The Music, The Power of Madonna and Glee: The Music, Journey to Regionals respectively. The album was released on May 18, 2010. Two editions are available: a standard edition containing 14 songs, and a deluxe edition, featuring 20 songs. Showstoppers debuted at No. 1 on the US Billboard 200, selling 136,000 copies in the first week. On November 21, 2010, it was announced that the album won Favorite Soundtrack of the Year at the American Music Awards. Ross Shor Lynch is an American singer, songwriter, musician and actor. He was the lead vocalist of the pop rock band R5 and one half of the band The Driver Era, with his brother, Rocky Lynch. As an actor, he is known for his debut role as Austin Moon on the Disney Channel original series Austin & Ally, and for his role as Brady in the Teen Beach Movie series. The discography of American singer Elizabeth Gillies consists of two soundtrack albums, two singles, one promotional singles, six music videos and one other album appearance. ↑ ""Freak the Freak Out" by Victoria Justice". iTunes. Retrieved 30 December 2010. ↑ ""Beggin' on Your Knees" by Victoria Justice". iTunes. Retrieved 30 December 2010. ↑ ""Best Friend's Brother" by Victoria Justice". iTunes. Retrieved 30 December 2010. ↑ ""All I Want Is Everything" by Victoria Justice". iTunes. Retrieved 30 December 2010. ↑ ""You're the Reason" by Victoria Justice". iTunes. Retrieved 30 December 2010. ↑ ""Victorious: Music from the Hit TV Show" by Victoria Justice and Victorious cast". iTunes. Retrieved 30 December 2010. ↑ amazon.com, "Victorious Soundtrack". Accessed 1 July 2011. 1 2 Victorious: Music from the Hit TV Show - Victoria Justice, Victorious Cast | Songs, Reviews, Credits | AllMusic at AllMusic . Retrieved September 3, 2011. ↑ ""Make It Shine" by Victoria Justice". iTunes. Retrieved December 30, 2010. ↑ ""Leave It All to Shine" by Victoria Justice and Miranda Cosgrove". iTunes. Retrieved December 30, 2010. ↑ "Top 200 Albums The Week of August 20, 2011". Billboard. August 20, 2011. Retrieved November 20, 2018. ↑ "Digital Albums Chart The Week of August 20, 2011". Billboard. August 20, 2011. Retrieved November 20, 2018. ↑ "Kid Albums Chart The Week of August 20, 2011". Billboard. August 20, 2011. Retrieved November 20, 2018. ↑ "Movie Soundtracks Chart The Week of August 20, 2011". Billboard. August 20, 2011. Retrieved November 20, 2018.